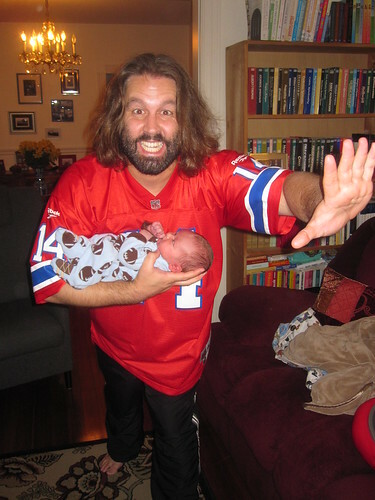 Isaac and I watched the Pats beat the Dolphins tonight. He was very excited, as you might imagine. He's getting a steady diet of all three types of football--American football, soccer and rugby. Hockey season starts soon...Mom is obviously thrilled.